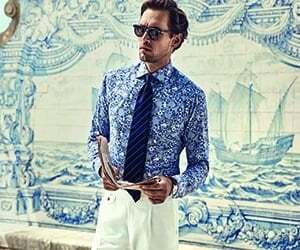 This blue trouser from Pal Zileri is made in Italy and from 79% wool, 20% cotton and 1% elastane. Designer men's pants by Pal Zileri are made from only the finest selected materials. Made to fit any body shape.